Psychic Ability is more or less within all human beings. Some – especially children and teens – have it to a greater extent than others. Since they are so sensitive, they need the attention that only parental care can provide. There are many things you can do for your child to help them feel more balanced and in control of their gift. Know your child. Be aware of their normal activities, how they usually act on a regular basis. Then use that as a way of comparing any changes your child might have. Pay attention to their dreams, any unusual experiences, or changes in their thoughts about things. Review them regularly. That way you’ll have a good gage to go by to know when your child needs your attention. Study psychic knowledge, learn the lingo, read up on what psychics, especially teens with paranormal experiences go through. Find out about ghosts and spirit entities. Be ready to address any questions your child might have, and be able to talk like you have sense about the situation. Your child always looks to you for advice and information. By always being honest and “upfront,” your child will respect you and trust what you have to say. If your child is empathic, they might know when you are upset or not feeling well. Don’t try to hide that feeling from them. Own up to your feelings or any health condition if your child asks you about it. I am sure you want your child to be comfortable with their ability to “recognize” or “pickup” certain emotions and illness. If you act like nothing is wrong, then your child will know that it is better to lie about their feelings than to be true to themselves. This definitely is the wrong message. It makes them doubt their own natural ability to sense what is happening. Develop an open expression of feelings. Create a home where there is permission to outwardly express this vocabulary. As a parent, you should be able to recognize the validity of what your children are saying. Yes, kids have very vivid imaginations, and try to get attention however they can. But you know when children are telling the truth by the seriousness, honesty or despair in their voices. There are some who teach their children to ignore their natural psychic senses and messages, and to forget about ghosts and spirits. These attitudes make it confusing for kids. They get mixed messages. Life becomes difficult for them. Reassure your children that they are not strange or crazy. Investigate your family, and talk with other family members who might have similar experiences to share. If understanding what is going on becomes too difficult it may be helpful to see a paranormal counselor, or someone who has worked with kids who have gifts. Be sure to attend as a family to show your support and gain understanding. Excerpt taken from Does Your Child See Sparkles? 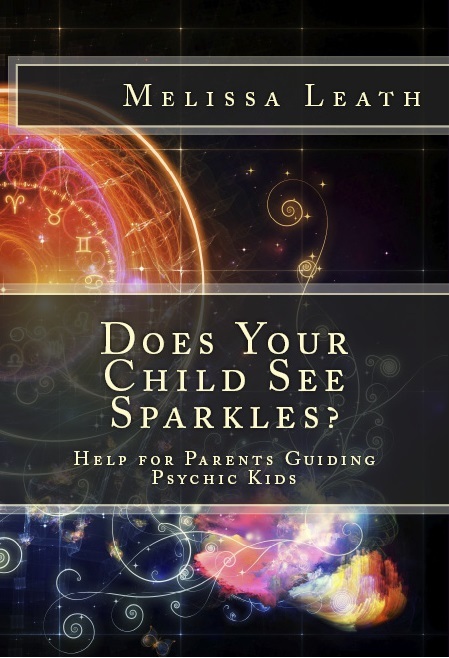 Help for Parents Guiding Psychic Kids by Melissa Leath (Copyright 2013) Available in paperback and ebook. Are You A Psychic Kid’s Parent? I just have to share this with you! If you think you might have one of the New Kids (aka Indigo or Psychic) the Panel Discussion will be of great help for you. The panelists have direct knowledge and hands on experience with psychic kids and their parents. You can ask any question you have including what the signs are, how to cope, and anything else that comes to your mind. — Children ages 7-11. Kids that are just learning that they are psychic or empathic can learn to use those abilities and share with other kids. DATE & TIME: Saturday, June 25, 10 am – 2:30 pm. INSTRUCTORS: Melissa Leath, Meredith Melvin, Patti Kessler & Joanne Franchina. PRICE: $90; includes crystal set (value $20) and class materials. Early registrations (by June 4) $80. Family discount, $5 less each child. — Children ages 12-17. Teenagers who are more aware of these abilities, will benefit. Will address working with energy and connecting with spirit guides. PRICE: $90; includes class materials. Early registrations (by June 4) $80. Family discount, $5 less each child. INSTRUCTORS: Patti Kessler, Melissa Leath & Rose Vanden Eynden. Dreams, nightmares, and other curious experiences are common for psychic children. When you are sleeping you become open, and receptive to the unseen world. The protective guards that have been thrown up now come down, and it is easy to navigate the invisible world. For the psychic child this is playtime. Sleep is a time for the body to rest, and actually allows the logical mind to shut down, so that the intuitive self can come through. This is why most psychic children have flamboyant and other worldly dreams. As your psychic child is sleeping, he or she is exploring the levels of the astral world, and connecting with their psychic wisdom. Some parents will fear these experiences because they feel unable to help their child. Especially when these experiences are frightening, such as nightmares, or strange visitors. But they are all natural experiences for each person, and especially the psychic child. Do not fear this, rather embrace and encourage this! As a child, and even now I explore the levels of the astral world. The astral world being the energetic levels that make up the physical world, and beyond. There are many levels and layers of the astral plane. Some of these levels are where different spirits reside, and what we would commonly call, Heaven or the Other Side. Other levels mirror reality, and the different thought-forms that are being projected into it. Some levels of the astral world are purely play… alternate realities created by the imagination. The dark realms tend to be places where negative thought-forms exist, and this is often what we experience as a nightmare. Children are curious by nature, and the psychic child has a free pass to explore all the different levels of the astral world, and to be receptive to any psychic information that is being sent their way. Energy is vibration. All vibration happens at a certain frequency. Your psychic child is vibrating at a frequency that allows them to not only access certain planes of existence, he or she vibrates at frequency that allows them to tune into infinite wisdom that is blooming in the atmosphere open to anyone who can tap into its message. Dreamtime is a way of tapping into the fertile world that lies just beyond our consciousness. Everyone dreams to gain some kind of clarity or insight. In my experience I have found a few types of dreams. Problem Solving dreams are dreams that allow us a creative platform to work through issues, gaining insight and clarity about whatever seems to be troubling the person. Psychic children are constantly inundated by information, thought-forms, and energy that may not be their own. On top of this they are regular children; Children who have mundane issues. These are the types of dreams we all experience. Since we are not open enough in waking life to experience this kind of clarity, dreamtime offers us a timeout from “reality” to work through issues. Purging dreams are a unique way to not only work through issues, but to also clear out the junk that is in our minds. Psychic kids experience this a lot as nightmares. Recall the frequency analogy. Your child is vibrating at a rate that allows them to purge these negative, or pent up energies… and often times will be followed by colorful, and frightening sights. I always imagine these negative things existing somewhere in the Universe that contains them for safe keeping, when we have nightmares we may actually be visiting that place… thus releasing and containing them there for safe keeping. Prophetic dreams are very common for psychic children because they are so open, that they are actually accessing the information that is happening around them. This is how they tend to know things that they shouldn’t. This can be information about the future, or a place in which they are not, or even past life information. Astral Dreams are any type of journey that happens in dreamtime. An astral dream could take the shape of any of the above dreams. But most often this will be an experience of leaving the body, and traversing the wonders of the Universe. Children are especially good at astral dreams, or astral projection because they are not afraid to explore, and they are more use to being out of their bodies, rather than in. This could be because they are new to the world, not quite settled into the “rules” of being here. Astral dreams can be simple, or very complex. I astrally project often. When I astrally project it can be as simple as being in the room I am sleeping in, or visiting people who are in other places. Or they can be more in-depth, part real world, and part other world. Dreaming is something that you cannot really explain with clear rules, and regulations. The different types of dreams listed above may overlap one another. There is no way to clearly define them. They may all be happening at the same time. But rest assured that it is a normal experience for the psychic child, and for all of us if we would allow it! Astra travel, and dreaming can sometimes be frightening to both parents, and psychic children. If your child seems to be having these dreams and you are unsure how to help, creating a safe environment for sleep will add to their sense of security. Make sure your child has a safe room, free of clutter, or distraction. Any strange lights, toys, or shadows that may appear in the room should be avoided. Keeping things in an area specifically for play is a good option. Even having a nightlight can help your psychic child because it will be a touchstone for them knowing where they can return to when they leave their body. Crystals are a favorite for children because they can sense their unique vibration. Crystals hold a special energy that can be used by anyone who taps into it. This can offer a special tool for psychic children in dreamtime. Especially for astral travel when your child may be wondering about it. I suggest using a hematite and amethyst. Hematite is a grounding stone, and creates a special aura of protection. It will keep your child from floating about aimlessly, and allow them to filter through any energies that may be troubling them. Amethyst is a protection stone, but it works in a unique way that activates the psychic senses. It opens them in a way that brings clarity and understanding. This will be good for your psychic child, as it will help them make sense of what they are experiencing without shutting them off from it. You never want to shut your psychic child down from their experiences; this will create feelings of fear, guilt and alienation. You want your psychic child to use this gift, and to cultivate a positive connection with it so they can navigate the world fully in their spirit. Use these stones by placing them near your child’s bed, under their pillow, or tucked somewhere safely under the bed. You can explain to your child that these are magical rocks that give them powers in dreamtime. Remember imagination is one of the most powerful tools for the psychic child. Dream pillows are a special way for soothing your psychic child. Scent has a powerful effect on the psyche, and helps to cultivate certain experiences. Not only are herbs and botanicals powerful for aromatherapy, they also work with the subtle vibrations of the aura. If your child is having nightmares or sporadic dreaming, create a beautiful dream pillow for them. A dream pillow is a small pillow filled with herbs and botanicals for a certain purpose. This can be an elaborate decorated pillow, a small square of sewn up muslin, or a sachet made of cheesecloth. When creating a dream pillow you want to use all natural and organic ingredients. Be mindful of your child if he or she has allergies or an allergic reaction to specific plants. Clearly those are not things we want for our psychic children while sleeping. You can mix and match these herbs as you see fit. Sometimes using only 3 of the above herbs is necessary. Once you have found the right combination, stitch up the open end of your pouch. Hold the dream pillow and infuse it with positive intention. Intention is how we direct, and affirm our energy. Setting an intention of peaceful sleep for your psychic child will guide them into dreamtime safe and sound. Tuck the dream pillow pouch safely inside the pillowcase of the pillow they use most frequently. You can refresh the herbs once a month, or as you see fit. This can be a fun process to do with your child as well. Pull out the art supplies and make fantastic pillows together! Has your psychic child had any interesting dreams? Maybe a visit from a relative who has passed? Or maybe recounting an outlandish world somewhere beyond the stars? Listen to these dreams… there is wisdom in them! And be sure to share with us. We would love to hear your psychic child’s dreamtime adventures… and maybe we can help shed light on anything that is particularly confusing. Every person is born into this life with a beautiful collective of celestial helpers. These are our spirit guides, angels, loved ones, and ascended masters. Some of them are always present, and others float in and out of your life when they’re needed. As a beautiful glowing ember in the universe, your psychic child has a special connection to the spirit world, meaning their celestial helpers are much more accessible to them. You may find your child talking and playing with an “imaginary friend”, or recounting elaborate stories with their “imaginary friend”. This friend is probably not imaginary at all… it is his or her spirit guide! Pay attention to the stories, and the encounters your child is having with their friend. Listen to the details of their appearance, and even their name. These details are not just make-believe; they are very real things that your child is experiencing with his or her psychic senses. Every person has a spirit guide! Your child’s spirit guide is a wonderful, life long friend. A friend that will never waiver or leave. The friendship of a spirit guide is a powerful, soul level connection. 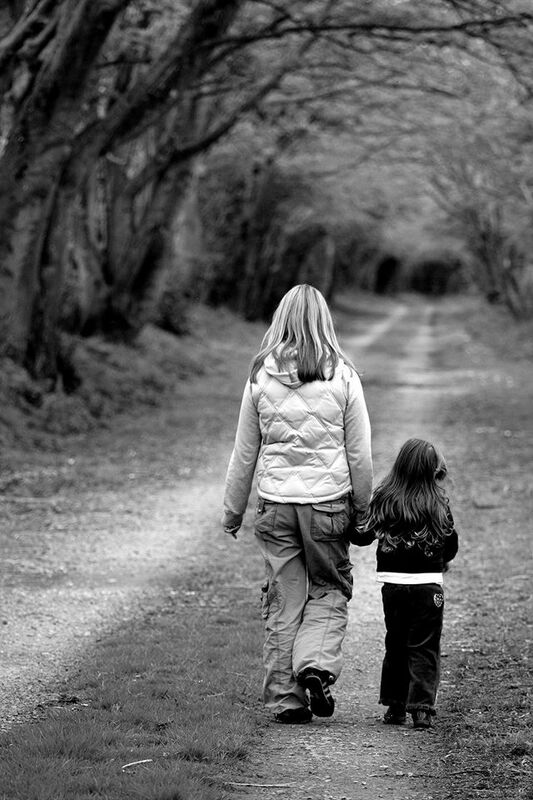 A spirit guides sole purpose is to guide your child on their life path. Your psychic child’s unique perspective of the world allows their spirit guide to be much more accessible. This is a gift because they can talk, communicate and really get to know each other. If this is cultivated, and nourished it can continue, like all aspects of psychic unfoldment, into adulthood. A spirit guide will watch over, guide, and protect your child. A spirit guide will disperse spiritual insights, and synchronicities into your child’s life. A spirit guide has a unique understanding of your child’s life path, and what he or she is meant to fulfill. The powerful thing about a spirit guide is their unique vantage point on life. They are not all knowing, nor are they without opinions. But they do see things more clearly and they remain much more objective. This relationship will help your psychic child feel more safe, grounded and connected as he or she moves through life. Your child’s spirit guide will show up when he or she needs them the most. Guides often appear when there is extreme changes, stress, or something unsettling ahead. They also appear when a child is “losing time” or engrossed in their own little world of play and imagination. Guides will sometimes appear as flashing lights, sparkles, bubbles, or other glimmers of light, and color. When I see spirit guides they usually appear as blue or white lights. Shadows or silhouettes can be the presence of a sprit guide as well ( I would do a little more investigation). Dreams are a common meeting place between your child and their spirit guide. Dreams usually become doorways to the astral world, meaning that your child can explore other places, times, and different facets of the Other Side. Many stories have been told of a child visiting the Other Side with their guide showing them all around. Your psychic child probably has a good idea of their spirit guides name, and appearance. Ask them who their friend is, and what they look like. See what details they give you. They usually have a name instantly! It isn’t uncommon for a guides name to be the same as your child’s, or to be some other name that you or your child favors. Really a guide doesn’t mind the name used to call them. They just want to develop a working relationship with your child to best help them. Spirit guides tend to appear in one form, but they can change that as well. If they are seen as a sparkling light, they can also be seen in a human form. But some spirit guides will choose to visit as an animal, or some other creature. It is all about what your psychic child, and the spirit guide feels safe with. That is the foundation of the spirit guide relationship… feeling safe. A spirit guide is a friend, protector, and guide. If your psychic child is feeling uneasy about their friend then you should explore more. Remind your child that they can ask their spirit guide to come however they wish! 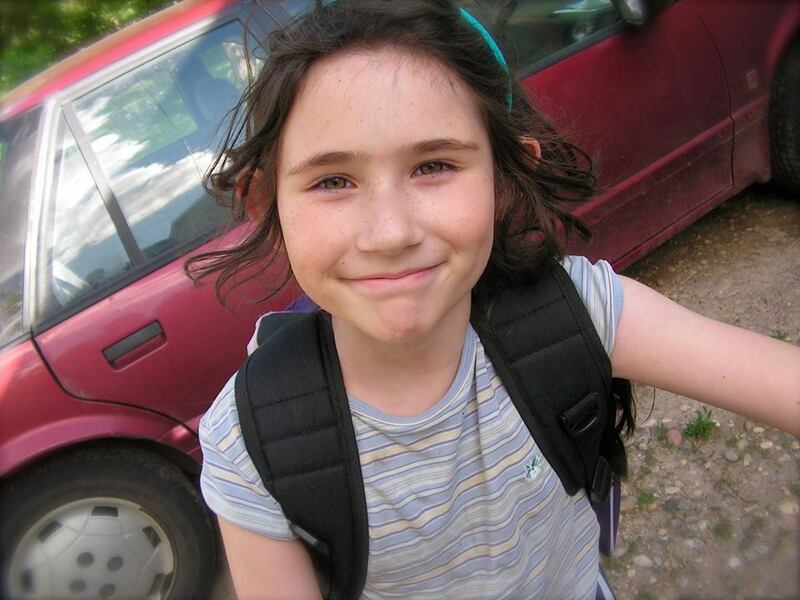 Some children will even cling to a favorite stuffed animal…which becomes a life line to the spirit guide. There is energy in everything… so take this into consideration when exploring your psychic child’s actions. Let your child know that it is okay to talk to their spirit guide. They can play, and chat and explore together. The best way for a relationship to develop between a child and their spirit guide is through talking. Talk out loud. Ask questions. Give opinions. Confide in them. Try this yourself! A spirit guide will find a way to communicate. This can come in so many different forms. Your child may see symbols, visions; hear reoccurring songs, verbal communication, feelings, etc. It can be very unique, and constantly changing. When it comes to working with your psychic child, and helping them to develop a relationship with their spirit guide…. Have an open mind and be an explorer! A fun exercise for your child is to write letters to their spirit guide. Write a letter and leave it under their pillow, or near a tree. Tell them to ask for some kind of response from their spirit guide. This can be a really fun game. Something will appear! Spirit guides love creativity. Any kind of creative activity will bring your child closer to their guide. Encourage them to draw and paint. Maybe ask them to illustrate a portrait of their guide! Another great technique for connecting with a spirit guide, and the Universe is using a divination system. Tarot, or some type of oracle card. This can be really fun to do with your psychic child because they will see connections in the images that you never even thought of. Let their imagination run wild! I encourage you to talk with your psychic child. Being open to the psychic world can be confusing at times, but when nurtured and approached with healthy boundaries it is a gift. Communication is the number one way to make the psychic world safe, and accessible. It is easy to disregard your child’s experiences as imagination, but remember that imagination is the pathway to intuition. What your child creates as they play, most likely has roots in a very real, spiritual experience. So ask questions. Never judge. Just ask more questions. And as always… HAVE FUN! Melissa’s Note: So happy to share with you our next installment for the Kids Growing Up Psychic Series, by Shaheen Miro, guest blogger. Your psychic child is a beacon of light. A spark of the Divine, as we all are, yet he or she has a connection to that spectacular place beyond the veil (that has not yet been shut down). That beautiful thread that connects them to the Other Side is their imagination. Imagination is the pathway to intuition. It is the blank canvas of possibilities, for which your inner world can come alive, animate itself, and speak to you. Children are intrinsically fantastical. They thrive off of using their imagination to paint the world in all the colors that make their souls feel alive. This is their Divine nature. As a parent of a psychic child you must feed this craving to create, and imagine. Nurture your child’s need to play, to explore, to taste, touch and see things that aren’t part of the mundane. When you do this you allow them to grow, and bloom into empowered people… into healers of all different ways. I was very imaginative as a child. I found validation in fairytales, and stories of sorcerers, good witches and fairies. I saw them as people much like myself. They had a connection to something that others couldn’t see, or understand. I would play for hours. I created stories, worlds even… where all these magical things were real and alive. My Mother, and Grandmother were wise to nurture this part of me. It allowed me to stay empowered. I never really felt shutdown, or left out, or even misunderstood… well not in the dramatic, isolated way. They would play with me; they would help create these stories. And sometimes I think they were really passing on their own wisdom of the psychic world. As a child I learned the Tarot. My mother used them as a way to help me use my psychic abilities. She would lay them out and ask me to tell her a “story”, but those stories had more truth to them than fantasy. But I didn’t know that… all I knew is the images before me were fascinating, they made me feel a certain way, they spoke to me, and they spoke to one another. I just gave words to what my imagination seemed to be creating before me! Imagination is the thread that connects the dots. It bridges the gaps in all the spaces where logic can’t seem to make sense. And that thread of imagination becomes the pathway for intuition to spark into life. Explore ways to let your child tell stories. This helps them to pull at the thread, and gain more control and understanding of their abilities. This can be through drawing pictures, looking at storybooks, or exploring some kind of divination system. Begin with looking for cloud animals. Take a large blanket outside, and lay on it together. Look up at the sky on a cloudy day and look for shapes in the clouds. Create a story. Don’t just call out shapes. Use them as settings and characters. Play! Don’t try too hard. Don’t worry about how crazy it may sound. If you have fun, your child will certainly do the same. You could even have a tea party with you psychic child and read tea leaves together. The ancient art of tea leaf reading is based on the same idea that loose leaf tea will form shapes in the bottom of your tea cup, just like clouds, and those leaves can be used to weave stories. The possibilities are endless! Tap into your inner child and look for ways to have fun, which will help your child strengthen and gain control of their psychic abilities. Encourage your child to play. Play all the time. Find a way to help spark the creation of their fantastical world. This could be a place where they play often: A room, a tree, or an area in the woods. It can be anything that feels exciting to them… they will paint it with their minds and hearts! I use to play in my Grandmothers garden. It was the most lushes Eden of a place I have ever been. It was filled with flowers, berries and all sorts of vegetables. I would run through the rows, hide under bushes of black berries, and eat the most delicious things. It felt like a grand palace, with the most decadent banquets. I could be anywhere when I was there. Sometimes I would imagine that we were two fairies on the edge of dreamland. And she would just laugh, and play, and go along with it. I know sometimes that being in my little world of fantasy probably made her feel like a kid again, too. Give them a place to play! It will become their sacred space. Children are always exploring different levels and layers that you may not see. They are naturally in tune with these unseen places. Even in myth and legend we see that fairies and other mystical beings take interest in children. It is their light that still shines brightly. These unseen forces can be guardians, and teachers. It can be the gentle hug of a tree, or the sturdy force of a rock. They all whisper to psychic children, they remind them of the power that is within. And if you open yourself up just a little, you will hear that same, loving whisper. Take your child outside when the weather is favorable. Visit a park, a stretch of woods where you feel safe to roam for a while, or a beach if you are near one. See what your child does. What calls to his or her spirit. Something will spark their imagination. Maybe find a nice inviting tree to sit under and meditate. Make a game of naming the trees and the rocks; or telling stories about them. It isn’t uncommon for a child to find a “guardian” tree… think of Grandmother Willow in Pocahontas. Being in this space will help your psychic child stay grounded, and centered, and help his or her psychic senses to find balance. Whatever seems to catch their attention will be what is needed at that time. I always find that children love rocks, and pieces of fallen wood. They regard them as talismans. Bits of magic left just for them. Think of the countless legends of wands, and staves of power. Or stones and crystals of great magic. This is all held deep in the subconscious mind. Let your child find a token of nature to take home to remind them of their trip. My grandmother made it a ritual for us to find rocks, and sticks to paint. You should invite your child to decorate their token. It can be with paint, beads, feathers, or whatever speaks to them. This is a great way for them to feel the energy that is within the object. I encourage you to do the same! The one thing children always seem to do… that is so unique, and so powerful… is see the world from different perspectives. This is how imagination thrives. It doesn’t seek to confine the world in some small little box. Imagination lets the world explode into Technicolor. Everyday you should encourage your child to see the world upside down, and sideways. Look at things from all different angles. Find a new vantage point. See the others facets of the crystal. Walk backwards. Especially when you are upset, or confused. Laugh at yourself when you fall. Dress up silly. Wear two different socks. Or mismatched patterns. Or something inside out. Don’t take it too serious. See it a different way. See the beauty in the chaos, and the contradictions. It will stir things up! Remember that your psychic child is a visionary. It is a gift for them to see the world through such different eyes. You are entrusted with them, to help them grow and learn. The more open you are to them, to their gift, the better you will know how to help. I hope you embark on a fantastic journey! Maybe I’ll see you there. Do you have questions about your psychic child? Please, respond below, or contact us!